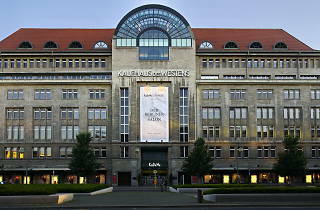 Originally one of a number of luxury Berlin department stores, it was one of the only ones to be fully rebuilt to its former glory after the war when it became emblematic of West Germany’s economic boom. 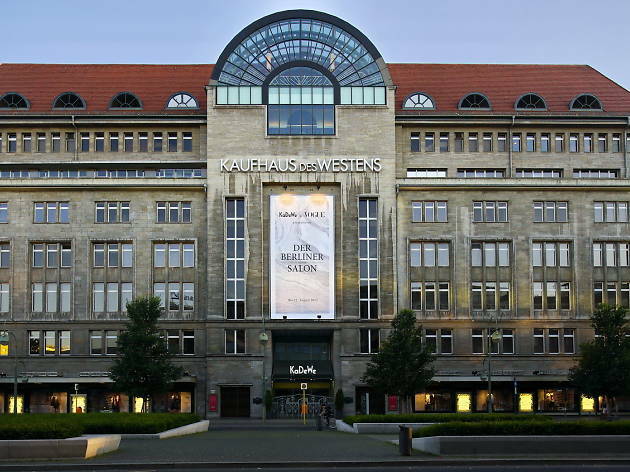 The jewel in the crown of the ailing Karstadt retail group, The Kaufhaus des Westens (KaDeWe) is, at well over 100 years old, a true Berlin institution. The largest department store in continental Europe, it stocks quite an impressive range of high-end designers and has recently tried to shed its stuffy image by bringing in upbeat, younger labels such as Alice+Olivia and London shoe brand Buffalo. Whatever its sartorial draw, it's still the quintessential luxury food hall experience in a city otherwise teeming with budget supermarkets. The sixth floor has counter after counter of delicatessens, butchers, patissiers and grocers with plenty of prepared foods to take away; the oyster bar is a perfect mid-shop pitstop. Otherwise, up yet another level you'll find the cavernous glass-roofed restaurant with its view of Wittenbergplatz below. Open 10am-8pm Mon-Fri; 10am-9pm Sat.